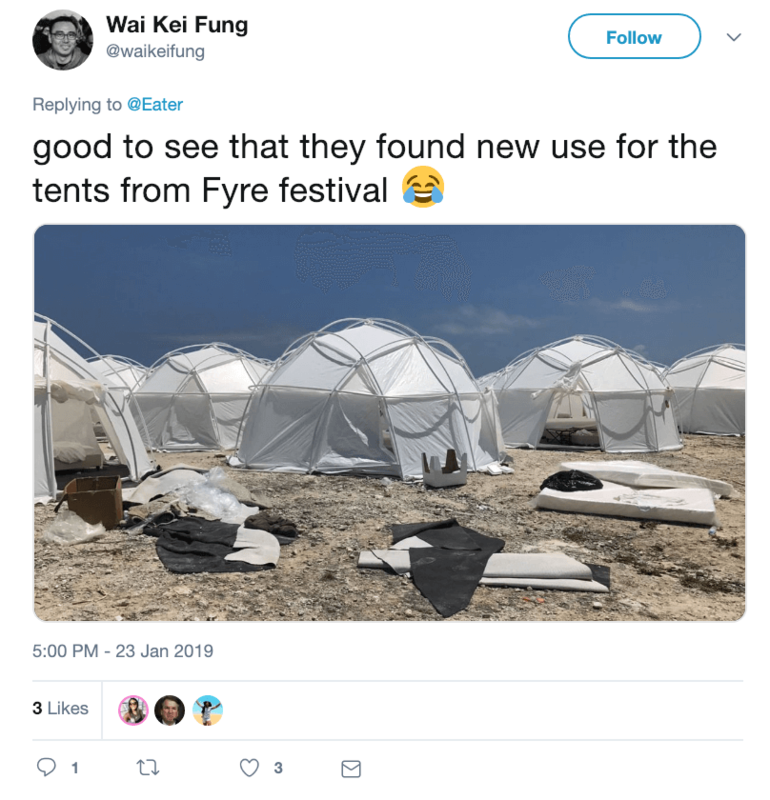 Social Media Strategy: What Can We Unlearn From Fyre Festival? In recent weeks, memes and snarky comments on the spectacular failure of Fyre festival once again swept through Twitter. The reason? Netflix and Hulu documentaries were released only a week apart. They both tell the story of a luxury festival that made a huge wave on social media and then never happened. Fyre festival was meant to happen in the Bahamas in early May 2017, on a dessert island once owned by Pablo Escobar. The 26-year-old entrepreneur Billy McFarland and rapper Ja Rule designed it as an extravagant promotional event for a talent booking app. Organisers promised to exceed all expectations. 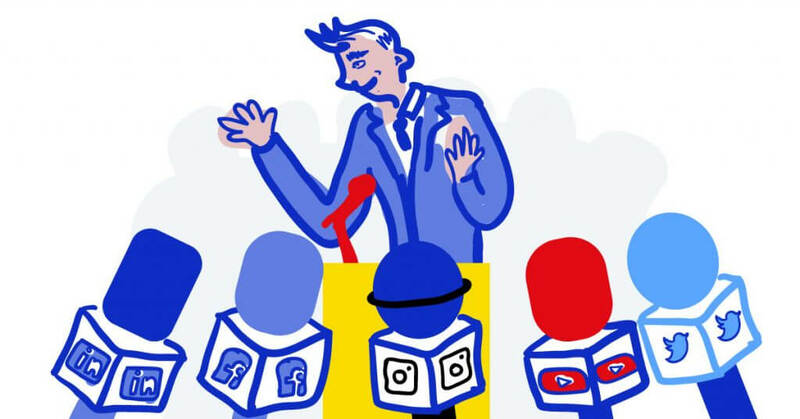 Through a multimillion dollar social media campaign that seemed to have very little strategy behind it they created off-the-scale expectations. Confronted with the realities of organising a festival on a remote island, they crashed burned. The most captivating images from The Fyre festival shown by Netflix are videos taken by its participants. It didn’t take a journaist to reveal the obvious – what they saw after arriving at the festival site, was a catastrophy. The festival team did not have any experience in organising mass events and quickly got overwhelmed by logistics. No lineup, no secured accommodation, no basic facilities or catering – nothing was in place weeks before the event. Sadly, instead of admitting failure and backing out before it was too late, Billy McFarland kept pushing his employees to deliver an impossible task. All the while covering up his venture’s serious financial struggles. The agency promoting the festival had very little insight into what was actually happening on the Bahamian island of Exuma. As instructed, they hired the highest paying supermodels, including Bella Hadid and Emily Ratajkowski to fly to the Bahamas and use their personal social media accounts to create hype around the event. FOMO-inducing photos of the girls amongst yachts, water scooters and exuberant beach parties, flooded Instagram. The images exuded a promise of a once-in-a-lifetime party experience. 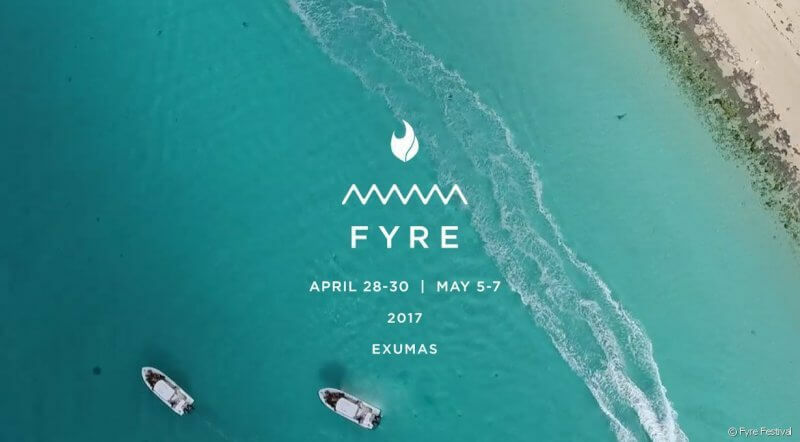 To amp up the hype around Fyre festival, marketers came up with a simple idea. 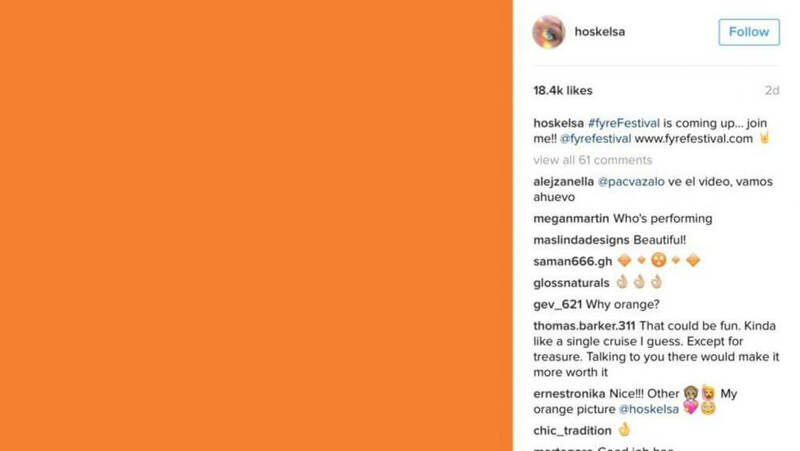 They asked the models and influencers invited to the big party to post a plain orange tile on Instagram. On top of that, Kylie Jenner was paid $250,000 for a single Instagram post about the festival, which was liked by 7 million people and got over 30,000 comments. Despite having no lineup to advertise, the orange tile with a #Fyrefestival hashtag achieved 300 million impressions in 24 hours. Suddenly everyone wanted to know what Fyre festival was and if they could come too. Perhaps if the marketing team knew what was going on the ground, they wouldn’t involve top influencers who ended up compromising their reputations. Perhaps they would advise on a contingency plan for handling customer communications and addressing issues. From a social media publicity standpoint, Fyre festival was initially a success. Even taking into account the cost of influencer fees, it sold out much quicker than most festivals. Lured by the campaign, thousands of affluent kids booked tickets priced between $500-1,500 and VIP packages including private jet transport and luxury tent accommodations for $12,000. They were promised accommodation in “modern, eco-friendly, geodesic domes” and meals prepared by celebrity chefs. None of this actually happened. Footage from people’s phones shows what can be described as a huge, underdeveloped, fenced-in campsite, dotted with plain, frail-looking tents. Huge queues formed, the people who paid for beach villas were reassigned to tents, the festival team offered nothing but misinformation and chaos. Excitement was quickly replaced by disappointment, anger and even fear, as some people weren’t sure where they were going to sleep or whether there was enough food to feed everyone. Quickly, a social media frenzy started. Participants were tweeting their reactions to each disaster as they unfolded. Of all the complaints posted by Fyre festival participants, the most famous was that of a cheese sandwich. The sad, floppy cheese on toast bread really gave a glimpse into how different festival reality was from the influencer-fueled vision. As a mainstream media crisis was starting to unfold, there was still no clear response from festival organisers. In fact, they asked the agency to continue posting social media content that portrayed the same vision that was sold initially, even though on the ground things looked dramatically different. When the agency refused to post misleading ads, they got fired. 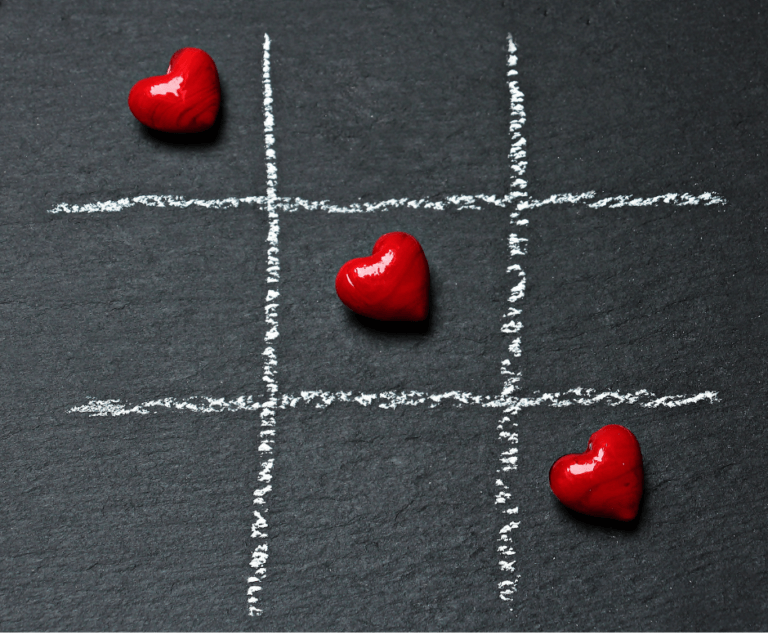 When things get rough, the social media radar is often the first one to go off. People will inevitably vent in the easiest and most public way possible. And if a brand – in this case the Fyre brand – isn’t prepared to take on a full-blown social media crisis, they will take a hit. Naturally, with such spectacular failures, backlash is inevitable. But there’s a great difference between continuing to deny problems that clearly exist and admitting failure. Without admitting failure, you cannot support those who were affected by it. And that’s something any brands have learned to appreciate about social media – people will publicly take it out on you. But if you come clean and offer support, you still stand a chance at salvaging your reputation or brand image. 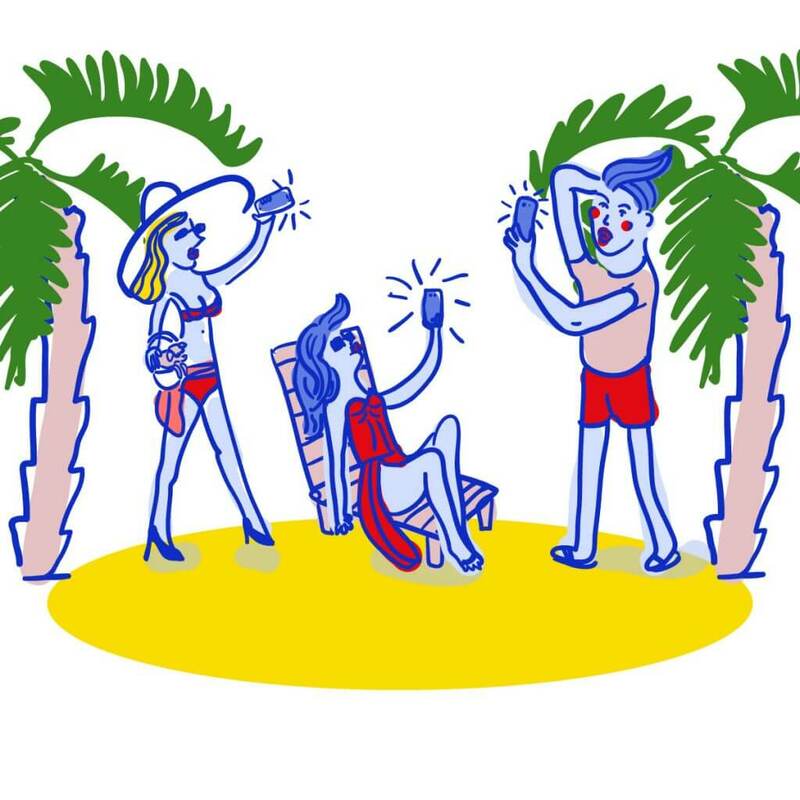 When Fyre festival participants started reaching out with questions and complaints, they were met with a dead silence. All the marketing efforts focused on customer acquisition, but there was no contingency plan in place that would stop the crisis from spilling over. 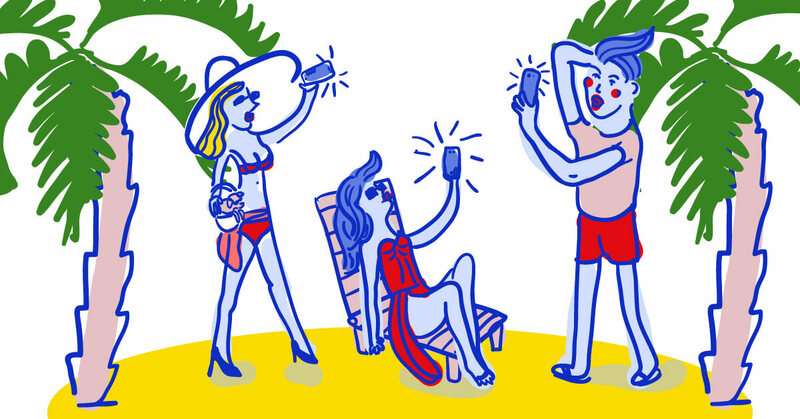 And the crisis did spill over – a year and a half later, we’re still talking about how Fyre festival was a spectacular failure. Managing a crisis of this magnitude could be the most epic case of delivering an informative campaign – such as during a natural disaster, where people help each other or ‘mark themselves’ as safe. The social media team should have turned into a brand reputation rescue team, offering to somehow tackle the shower complaints and comments. They should have issued a series of statements and delivered them through appropriate channels. Wherever people asked, however angry they were, they should have received an answer there and then. Misinformation? It’s much worse than failure. 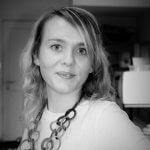 Do you need a tool for managing a social media crisis? Try NapoleonCat and start delivering quality social customer service.